Simon took our usual makan gang to Busy Corner for lunch a couple of weeks ago. 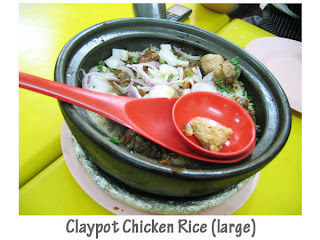 I’m not really a fan of claypot rice but I tagged along to see what the hype was about. Since Simon recommended this place, it was only natural that he did the ordering. He ordered 4 different flavoured claypot rice (3 big and 1 small) and 2 types of vege for the 8 of us. 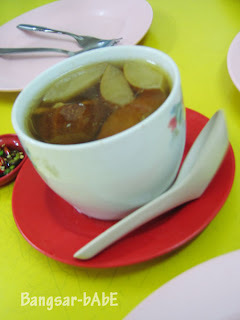 The gang also ordered a bowl of soup each (RM 4); there were 3 types of soup (watercress, peanut and old cucumber) to choose from daily. Again, I’m not a fan of that kind of soup (unless my mum makes it) so I gave it a miss. 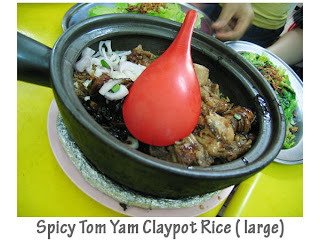 The claypot rice (original, black pepper, spicy tom yam and fish slices) came 15 min after we placed our orders. The rice was well cooked and fluffy, not sticky. Of all the flavours, I like the original best. I found the spicy tom yam too paste-y. The tom yam sauce felt like it came from the jar, or packet. The black pepper rice was not bad. The bits of black peppers gave extra “shiokness” to the chicken and the rice. 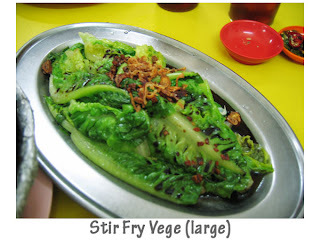 I also quite like the onion toppings; not usually found in claypot rice. The fish slices rice was alright, but not my cup of tea. I’m not a fan of fish and I found the fish slices a tad bland. Had to put a lot of chili slices to “ommph” the flavour. 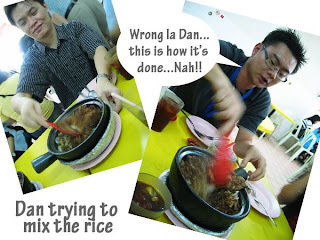 In my attempt and Dan’s (he was helping me) to scrape the crunchy rice bits at the bottom of the bowl, the owner told us “Cannot do that” as we might break her bowl. WTF?? 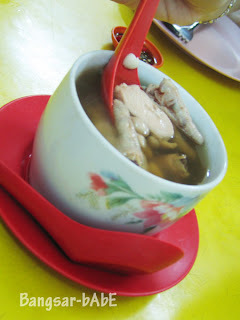 So thick claypot bowl can break with a small spoon meh? Don’t really remember how much the total was since it was a few weeks back but the bill came up to approximately RM 10 per person. All in, the rice was quite good; better than any claypot rice I had but not enough to turn me into a claypot convert. 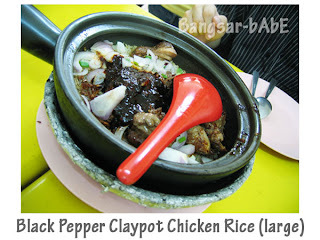 I would like to order the black pepper claypot beef rice if I were to come here again. 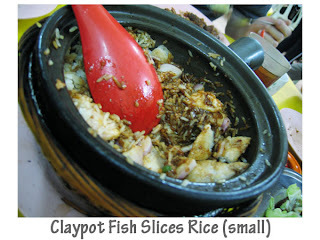 Verdict: If you are a fan of claypot rice, give this place a try. You’ll most likely enjoy it. Drop by here from Joe (Lots of Cravings). Nice blog here! 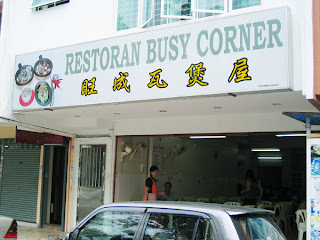 hmm… somebody never tell me that you when to this place to eat also.. i wonder why.. 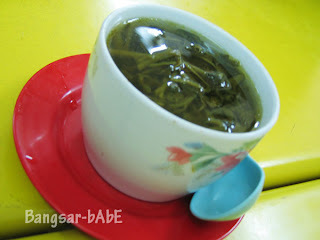 I even told you we should go try the black pepper flavour…remember or not? ?